I’ve put together a TeamSnap review for anyone who’s thinking about using it for tracking their team information. TeamSnap is an app for your computer and for tablets and phones that tracks multiple items for sports teams such as game & practice schedules, player availability, payments, rosters, and also has a very good messaging system to either email or text to whole teams or just selected players. 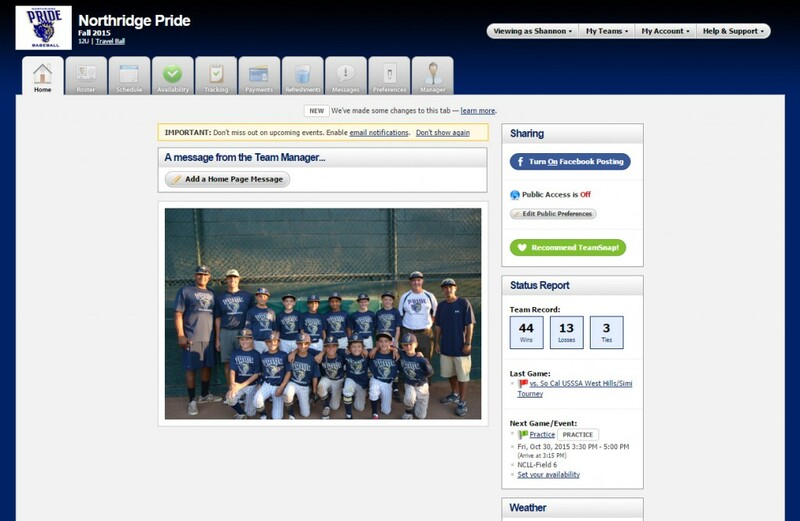 Our travel baseball team used TeamSnap, so I am now very familiar with the features. You can set this page to display your team logo, team picture, team record, and some other user-defined items including local weather. You can also set a message from the manager to show up on the page. There is an option there to turn on Facebook posting if you want to share to a team Facebook page. Across the top are several tabs which allow simple navigation through the program. The second tab is the “Roster” tab. 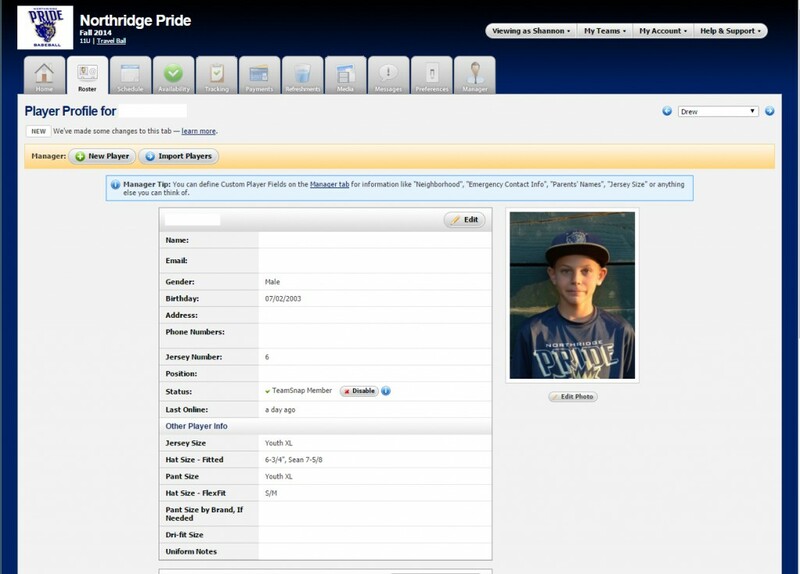 In the roster area you can enter all of the contact information necessary for each player, including phone numbers, email addresses, addresses, birthdates, etc. You can also set custom fields such as uniform sizes, hat sizes, or any other items you would like to track. At the bottom, you can add multiple family members and give them each access to the account. This comes in handy if a player has more than one household, or multiple people want to keep track of the account. You can also post player photos in the roster. From the roster area, each player can select whether to receive email notifications whenever something new is posted. This is very handy for being alerted to practice and schedule changes. The other nice thing about having multiple-person access is that the players can have their own access, and with many kids having their own phones and tablets, they can check on practice and games times, and also uniform choices. The next tab is for “Tracking” things like who needs to turn in a form, or who has field cleanup duty. Our team hasn’t used this feature yet, but it works just like the availability screen in that you enter a specific task such as “Turn in medical release form”, and then there is a list of players and coaches, and you can put check marks next to the person who is supposed to do the task or has completed the task. This would be a really handy feature for teams going to big tournaments like Cooperstown, where they require multiple forms which need to be tracked. Another favorite of mine, the “Payments” feature lets you enter a payment item such as a tournament fee for example, and then set a fee for each player. You can then track whether the player has paid the full fee, a portion of the fee, or if the fee is not applicable to a player who is not playing in this tournament or game. 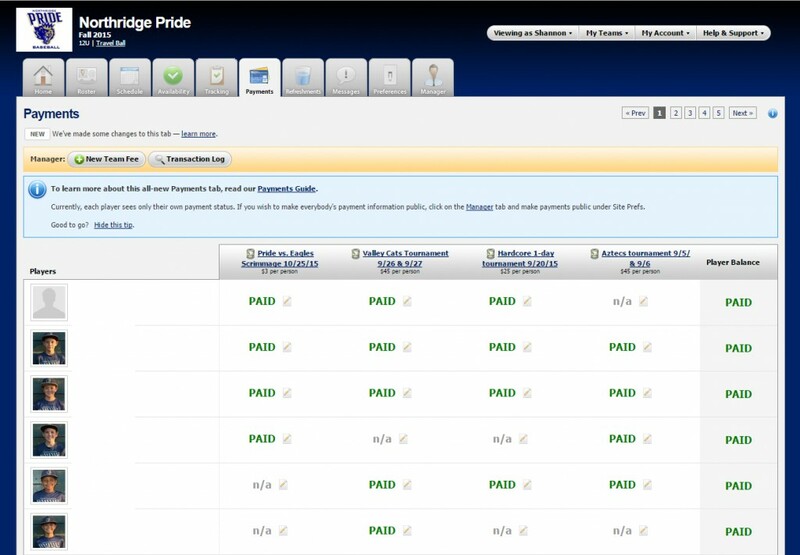 This makes it super easy to keep track of the payments for anything from tournaments to team fees and supply expenses. You can also enter a note into the payment item for each player if necessary. If you are using the TeamSnap mobile app, this awesome feature allows you to track payments on-the-go as people hand you money. 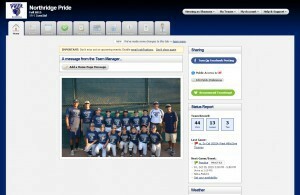 The media screen allows users to upload photos, videos, and files to TeamSnap and create multiple folders to save them in. This is great for storing and sharing photos from tournaments, videos of games, and you can also upload important documents. 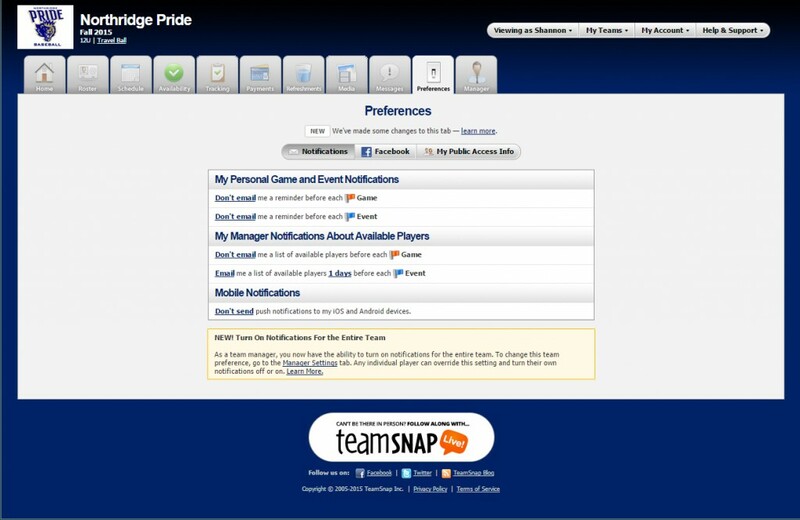 The folders can be set to “Private” for viewing only by TeamSnap managers. There is a comment area on both Photos and Videos for people to enter text. All of these can be easily downloaded by clicking on the photo, video, or file itself. Another awesome feature is “Messages”. From the Messages tab you can enter posts, emails, and text alerts easily by selecting “All” players and managers, or by individually selecting players and managers. This makes it extremely easy to send out email alerts with a few simple clicks. You can also post things like links to websites, blog posts, news stories, etc. in the posts area. The text alerts feature is also a really great way to get quick messages out to people to the phone numbers they have posted in their roster information. For example, if a game is rained out and the coach wants to alert everyone before they drive to the game, they may not see it on email, but a quick text to the whole team and it’s done! From the preferences tab, players can set whether to receive an email reminder before each game or event, and whether to receive mobile notifications. Managers can set whether to be notified by email the availability of players. The last tab is for Manager settings, which allows you to set several preferences for what is tracked and for what tabs and features are available for the players to see. This is also where you set up your team info such as division, website URL, team logo, team photo, time zone, custom fields, and other items. Overall, I would say that TeamSnap is extremely user-friendly and takes very little time to set up. Having multiple-user access is a great feature so that if players live in two households, both sets of parents can easily have their own access. The email and text alerts are super easy to use and are a huge time-saver. 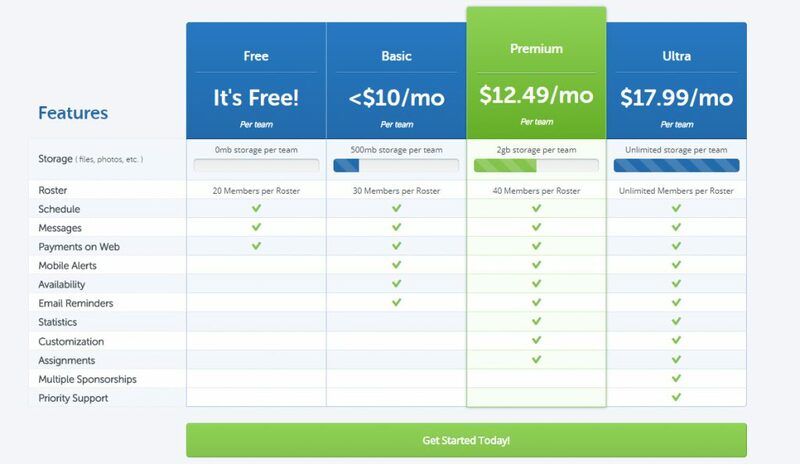 I sometimes have people asking me, “Is TeamSnap Free?” There is a free version if you just want to use it for scheduling, but some of my favorite features are in the basic $10.00 per month version like player availability and payment tracking. There are many little extra features like not making player payment information public, and enabling access to the team to the public. 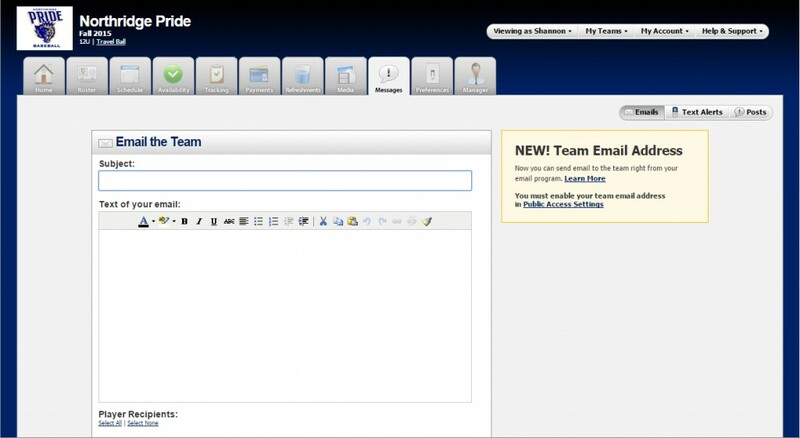 TeamSnap.com – The Smartest, easiest way to manage your team or group! Hello Shannon. So, TeamSnap is a baseball based programme? A community programme? At first, I thought itâ€™s purely a fantasy baseball. Itâ€™s great to have such programme exist. I must say, itâ€™s well-organised and to have such system in a proper manner, things can be done smoothly and easily. The availability reminds me of Facebook events where you have to options to reply â€˜Yesâ€™, â€˜Noâ€™ or â€˜Maybeâ€™.